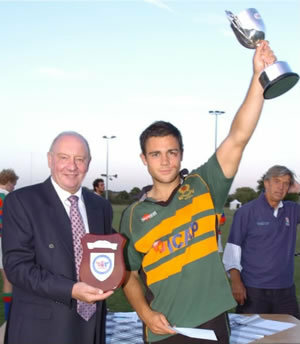 This annual one-day National Under 21s Festival was founded in conjunction with the RFU to provide competitive rugby for Old Boys XVs from schools around Britain. It’s a prestigious, hugely popular, highly successful annual reunion occasion with some excellent rugby on display. Over 850 players in 50 teams enter each year, representing some of the strongest State and Independent schools throughout Britain. Almost 100 XVs of Schools’ Old Boys have entered over the past 15 years from as far afield as the West Country, Wales and Scotland. The competition will be fast and continues again this year with students playing on seven pitches, in over 70 matches, in 15-a-side, 15-minute-each-way Cup, Plate, Bowl, Vase and Shield knockout competitions. In 2018, the Cronk Cunis XVs Festival will take place on Monday 27th August.